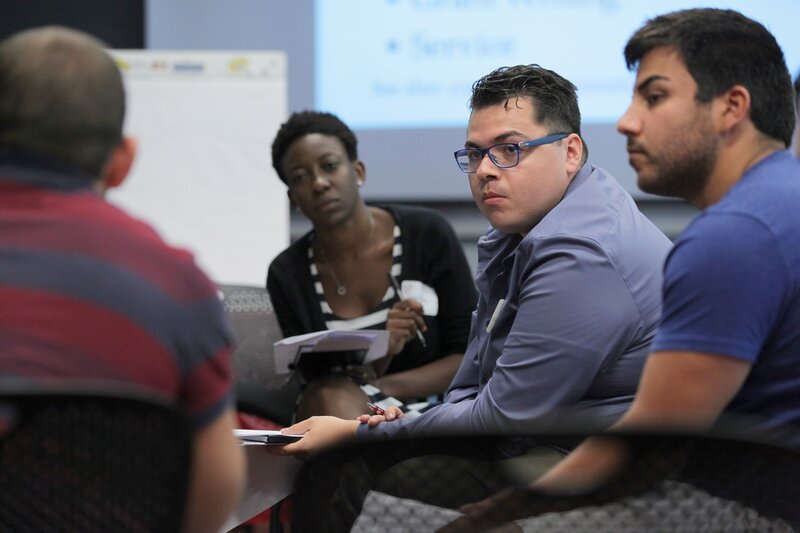 The Intergroup Dialogue Project (IDP) seeks to transform the campus climate at Cornell through courses for undergraduate and graduate students, faculty, and staff. The peer-led courses IDP offers blend theory with experiential learning, and they are designed to facilitate communication across social, cultural, and power differences, in a critical and meaningful way. to build relationships across differences and conflicts; and to strengthen individual and collective capacities to promote social justice and equity. An IDP short-course for graduate and professional degree students, and postdocs was launched in Summer 2016 through a collaboration of OISE, CIRTL at Cornell, and IDP. To learn more about this course, visit the IDP website. This initiative is co-sponsored by IDP, the Graduate School Office of Inclusion & Student Engagement, and CIRTL at Cornell. It is also supported by the National Science Foundation under Grant No. 1647094 (AGEP CIRTL), and by the ETS/CGS Award for Innovation in Promoting Success in Graduate Education. Any opinions, findings, and conclusions or recommendations expressed in this material are those of the authors and do not necessarily reflect the views of the National Science Foundation.